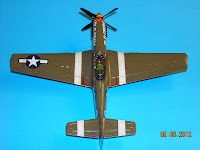 This fantastic kit is the P 51D Tamiya in 1/72 scale. What to say about the kit: It´s a pleasure to build, it´s perfect. No troubles at all. 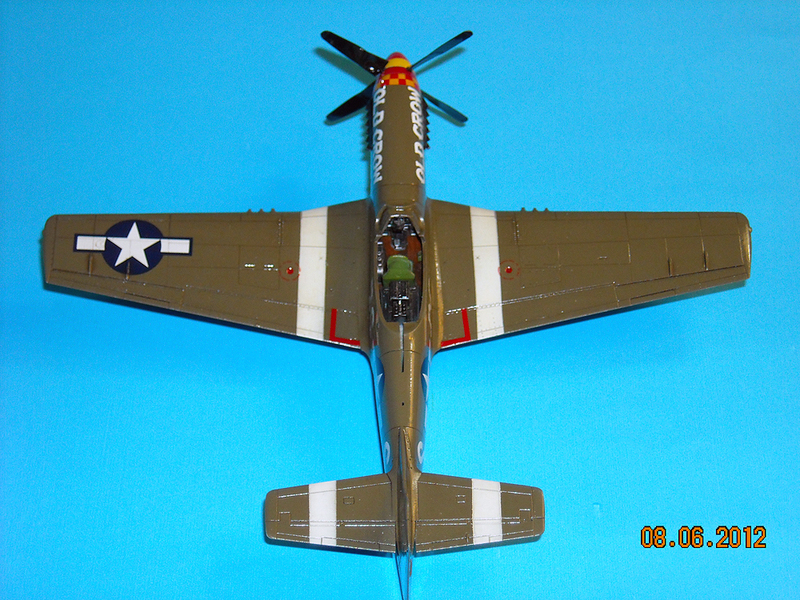 Fit is excellent and the gral shape looks like a P 51D. 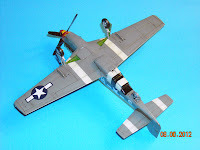 The decals are from the kit anf the paints are enamels, Humbrol: Olive drab and Model Master: Neutral grey. The spinner was painted with Humbrol: Insignia red and Yellow. 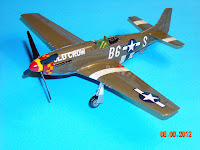 For the invasion stripes I used Humbrol: Matt Black and Matt White. 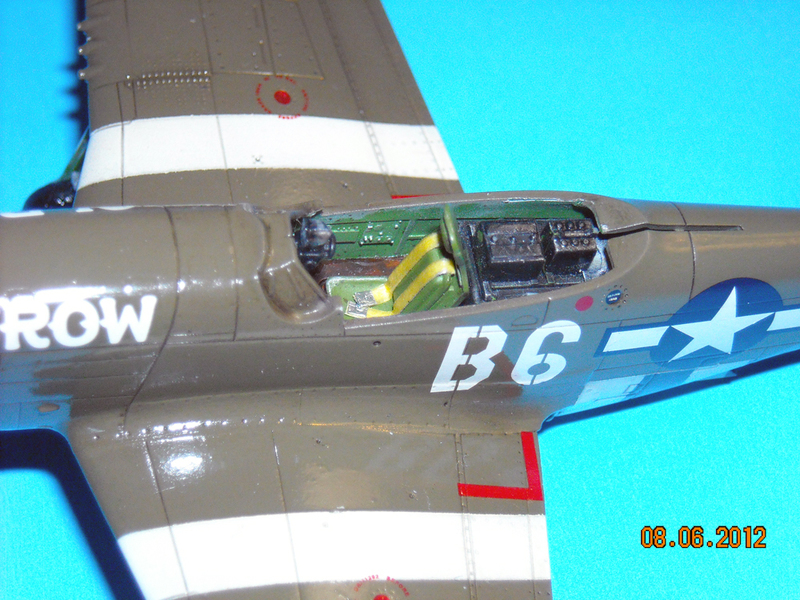 First I painted the stripes, then the undersides and finally the upper fuselage. As usual a gral. coat of Future and then the decals. 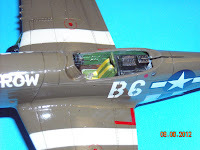 For masking the canopy I´ll use Tamiya masking tape.